The EU member state looks on course to pick its first leftist leader in two decades after Antti Rinne's Social Democrats took 18.9 percent of the votes, after 35.5 percent of ballots had been counted. But the process of putting together a coalition could be drawn out because of the nation's fragmented parliament. And with the Finns' strong showing (15.1 percent of the vote) coalition talks are set for further complications, with most party leaders ruling out any cooperation with them. 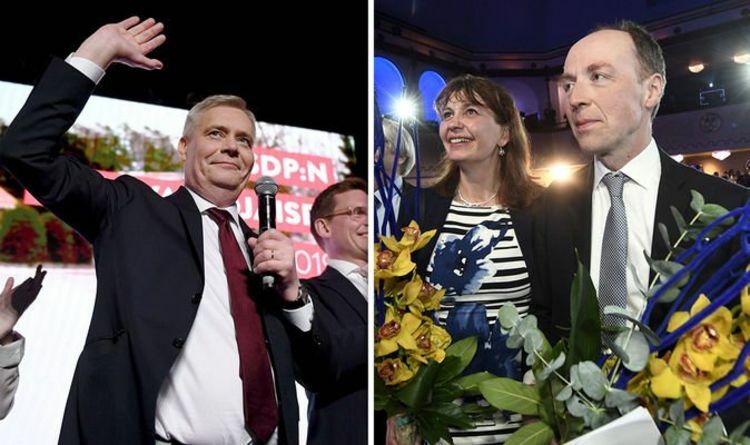 Meanwhile the centre-right National Coalition of outgoing Finance Minister Petteri Orpo came in second, with 17.2 percent of the advance ballots. The Centre Party of outgoing Prime Minister Juha Sipila scored third, with 15.4 percent. Speaking after the justice ministry released its data, Mr Rinne, a 56-year-old former union leader, said: "For the first time in a long time, Social Democrats are the largest party."